A well-deserved win of the Harris Popular Vote Award at the 64th Rochester-Finger Lakes Exhibition. Way to go, Rick. There is some truth in this arrogant pronouncement that no one should mourn the burning of art, since most great art now is reproduced and ostensibly immortalized, in one way or another, on the Web. I’ve argued repeatedly here that seeing an actual, original work of art conveys far more than looking at any reproduction. Granted, there are a host of qualifications, especially with photography, conceptual art, and so on. Yet the difference between standing in front of a painting and looking at a photograph of it is roughly equivalent to the difference between meeting an actual person and examining a snapshot of her. What I like in this piece is the insistence on how the value of actually seeing an original painting or print remains an incredibly elite privilege. The total number of people who attend even the most popular blockbuster exhibitions represents a tiny percentage of the world’s population. Yet this doesn’t justify the cynical subtext here that the only people who are really hurt by the loss of an original work are an exclusive club of wealthy and educated collectors, academics and fellow artists. In a statistical sense, it’s true. But to say that all we need are good reproductions misses the fact that the physical presence of a painting, for example, conveys much of what the work offers someone who sees it. The heart of what’s conveyed by an actual painting remains inexpressible and can be captured neither through words nor through a reproduction. For me, it’s where the real power and meaning of visual art resides, inaccessible to analysis. It isn’t about ideas or concepts or an image that can be extracted from the medium used to render it, like the solution to a puzzle. A painting is as much about the humble, colored mud used to create it as it is about what that medium allows you to imagine. And that’s partly why individual, unique works of art sell for such inflated prices. No one would disagree with the assertion that burning paintings is not an act equivalent to genocide. 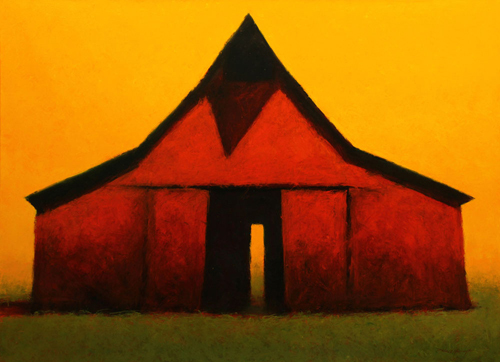 It would be ridiculous to suggest it, but the loss of original works of art is a loss to mourn, at least a little, and what should be mourned most of all is the way in which, over the past hundred years, part of the actual reality, the essence and being, of painting seems to have been obscured, if not forgotten. 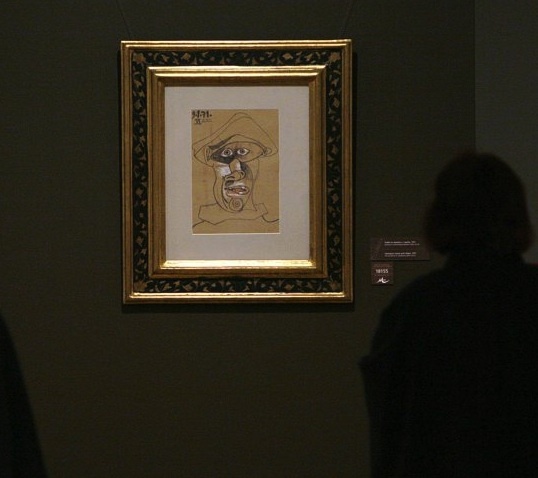 Which allows people to write explanations for why you shouldn’t care when a Picasso or Van Gogh gets burned. You write about how the art world became all about the art market after Wall Street soared in the ’80s, and that the art market, which involved conflicts of interest, went on to determine intrinsic value. Can you talk about that? It was almost like a perfect storm. There was a tremendous amount of money being made by people who were very young, were not broadly educated but were more mono-focused educated. They didn’t have a broad sense of history, of culture. Then all of a sudden there’s this infusion of money into the art world, where they’re looking for things that are not deeply understood but are entertaining, and the lifestyle of it is entertaining. They’re hedging their bets, so they’re buying lots of different young artists. And it’s getting younger and younger. In the ’90s, collectors started to buy work directly out of studios in graduate schools by artists who hadn’t even become professional artists, let alone mature. And the impact that has on artists is enormous, because if you start selling work as a student, it’s very hard to change, very hard to let go and progress and find your own true voice. So you see a lot of younger artists who’ve been selling work since they got out of school but have yet to do their second show, so to speak. They started speaking, not in art terms, but in business terms. People wanted to know how to be branded, they wanted to know about price points. Something else that’s continued since then is the growing gap between rich and poor, with the rich getting richer and the middle class, which was your subject matter early in your career, diminishing. How is this influencing art? It’s an awkward situation for people who make objects because they’re aware that they put them into a system that essentially only the rich see or buy. Museums have gotten to the point where they’re so expensive to go to, you’re also limiting access to people who don’t have to buy the art, so they can’t even get in to see it. And then there are a lot of younger artists who are rejecting the gallery system pretty much altogether. They’re trying to engage communities directly and are doing nonobjective type of work, so they can’t be commodified as easily. It remains to be seen whether that’s going to be something that becomes a dominant form for art. My primary thing is to make a painting, not necessarily to make a painting to sell for gazillions of dollars, but just to make a painting. But somehow the market has made it such that nobody talks about talent anymore. It’s almost politically incorrect to talk about an artist having talent, because then it’s exclusive. Whereas the price tag isn’t? It’s weird. The price tag has replaced it, and it’s certainly not a critical dialogue. It’s just something that’s a symbolic thing where it must mean the person who sells for the most money is the best artist. 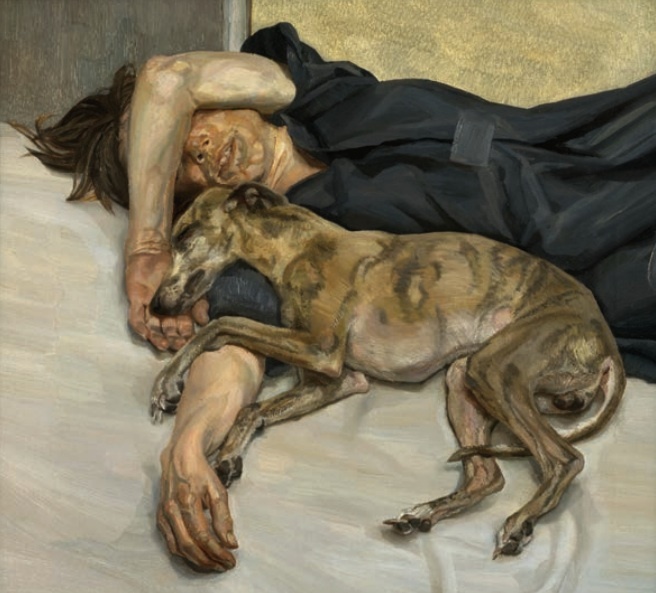 In the current Harper’s, this could be my new favorite by Lucien Freud. 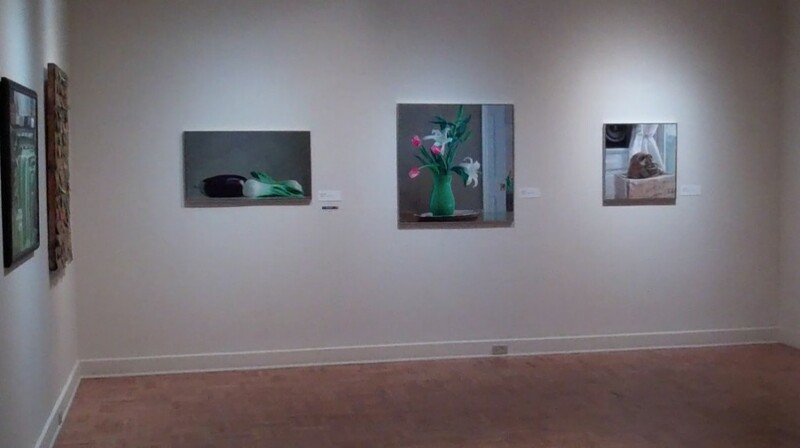 It’s impossible to do justice in a single blog post to a show as excellent as the 64th Rochester-Finger Lakes Exhibition at Memorial Art Gallery. Its effect is cumulative, as you wander past a hundred individual works. I learned recently that the heart rate of singers in a choir quickly synchronizes—so that every individual singer’s heart somehow times its pulse to the beat of every other heart in the choir. 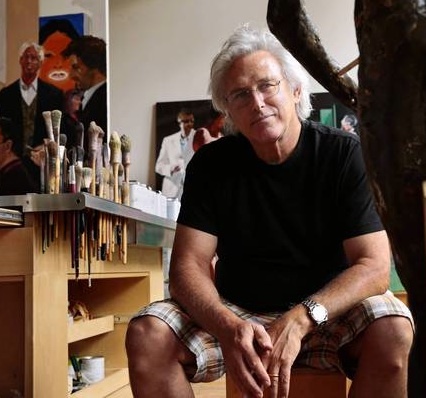 You get the sense of 81 unique hearts working in unison here as well, even though the artists live hundreds of miles apart, across the state of New York, pursuing a quiet, personal excellence. Each voice here is individual, operating in accord with its own unique set of stylistic principles, yet you feel the same passionate allegiance to private imperatives from one work to the next. You sense in this show a universal determination, across all the work, to focus on the slightest choices—how to render a line in a woodcut, how to stick to a certain kind of mark on canvas, how to check one’s ambitions into the confines of an unspectacular scale—as hard-won personal standards that result in mastery for that individual and no other in quite the same way. 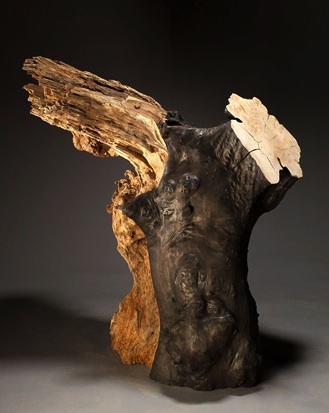 Jack Elliott’s Samothracea, the most powerful piece in the show, unapologetically reaches back many centuries for inspiration (it magically evokes its sculptural ancestor by pairing two enormous segments of willow trunks into a human torso that appears to be both in motion and standing still), while Donna Meadows Manier’s monoprint Luxury could be seen as sly up-to-the-minute commentary on our currently lopsided economy where a commodity can become an symbol of exclusive taste. In terms of diversity of style, purpose, and medium, you find yourself in a different world every time you take another step through the exhibition. But in each individual case, the craftsmanship is so uniformly subtle and understated, what’s happening in each work might slip right past you if you don’t dwell for a bit and give yourself time to see it. The spectacular nature of so much contemporary art has been shrugged off here in favor of values and dedication that don’t scream for attention but seductively invite it. I have to admit it’s cool to see my work hanging on a wall in our local museum only a few steps away from the spot where I stood when I was 18 and saw my first Rembrandt, Portrait of a Young Man. As part of the permanent collection, Rembrandt’s painting will be inhabiting the Memorial Art Gallery far longer than my work will. I’m on view for a couple months. (When you stand in a museum whose website tagline is “Fifty Centuries of World Art” you become hyper-aware of how little time you spend doing anything.) The 64th Rochester-Finger Lakes Exhibition, which accepted three of my paintings, will last until Sept. 9. Yet, as evanescent as my tenancy is there, my second participation in this exhibition (I sold my entry in the same exhibition four years ago) has given me a sense that the decades I’ve spent practicing, experimenting, learning, and building up one side of my back muscles from holding a brush aloft (I kid you not) have resulted in work that offers something of value to other people. I’ve had confirmation of this over the past five years, as I’ve begun to exhibit around the country and even in London, and I’ve sold a fair number of paintings, but this show always feels like the highest honor to me. Maybe because it happens here in what has become my home town, and maybe because the quality of the work, especially this year, and the quality of this museum, seems equal to anything I see anywhere I’ve looked at contemporary art. So the honor of being in this biennial show gives me a sense of achievement, but it also gives me a keen awareness of the humbling ironies implicit in being a visual artist now. Or almost any sort of dedicated, disciplined artist. You are currently browsing the represent weblog archives for the month July, 2013.